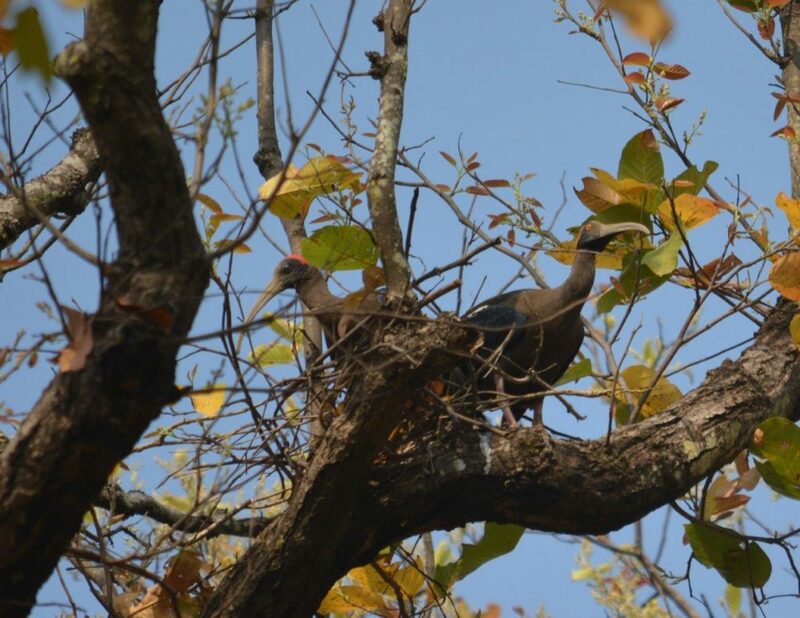 The largest national park in central India, and said to be the inspiration for Rudyard Kipling’s jungle book, Kanha is a gem and a must visit if you like wildlife. 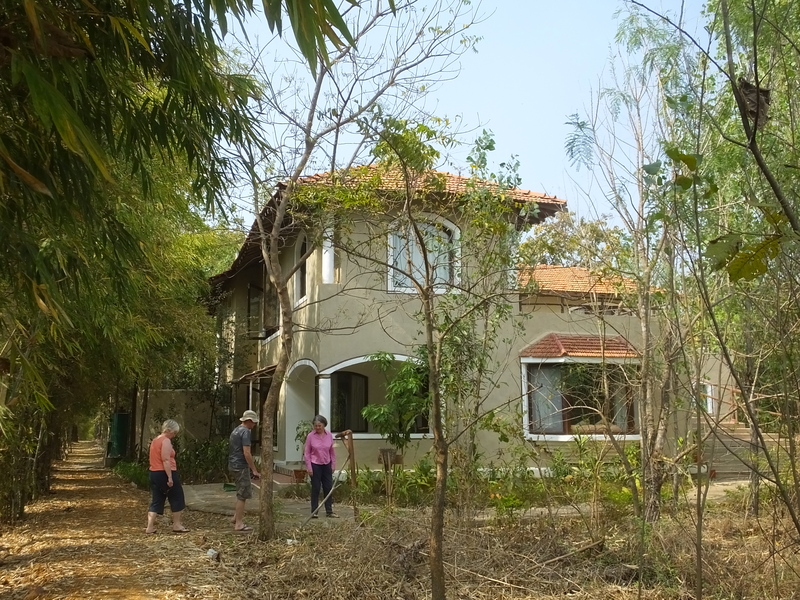 The park has a wonderful range of Flora and Fauna and plenty of very affordable, yet high class accommodation, in the vicinity. 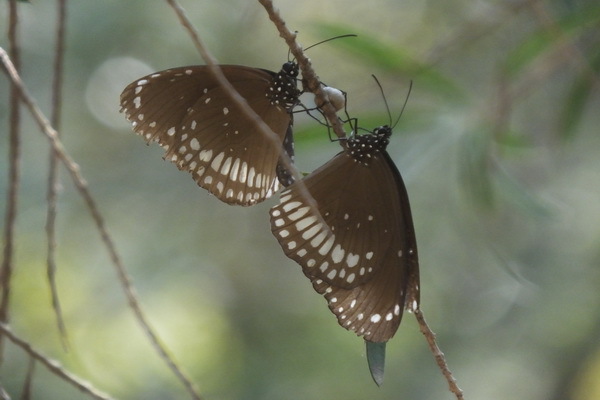 I visited for four days in February, which is an excellent time to go, and had wonderful sightings of tigers but many other things as well. 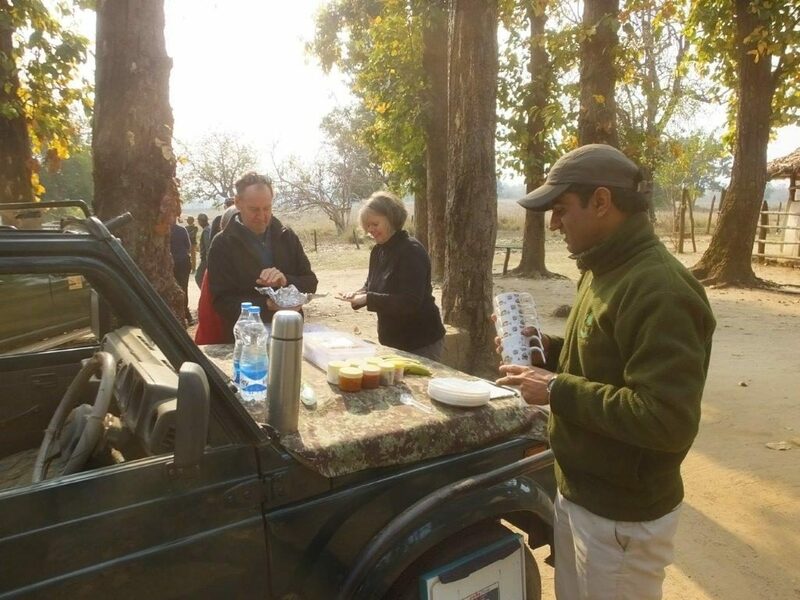 Our group traveled from Bandhavgarh, leaving in the early morning, traveling through the wonderful rural landscape of central India. 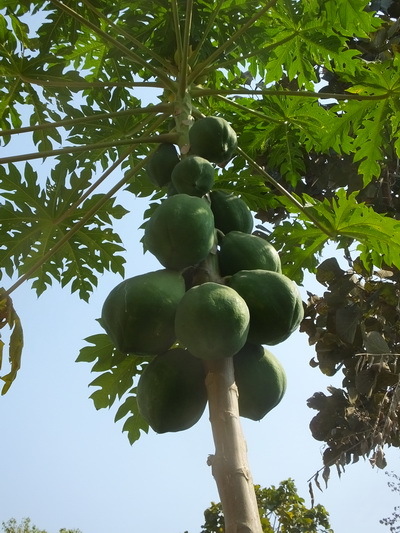 The journey itself is really interesting, and should be relished, as you travel through small villages and witness traditional farming methods. We were warmly greeted at our lodge and shown to our rooms for some recuperation time before lunch and an afternoon game drive. We were introduced to our driver, who was to be with us for the whole of our stay, before setting off for the park gates. 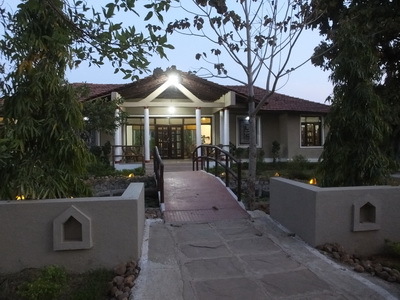 Kanha’s landscape is a mix of quite dense forest and open meadows with small lakes and reservoirs. The open landscape allows the deer population to flourish and the water is critical to the survival of the barasingha, a sub species of the swamp deer, which only exists in this park. It is an amazing animal to view as it spends a lot of its time in the water grazing, sometimes only the top, of its back is visible. The morning game drive starts before dawn so you are woken with a very early cup of tea before you make your way to your Gypsy to head off to the park. Breakfast is packed to be consumed in a rest area in the park later. The rest areas provide a very pleasant place to stop for a meal but the viewing of animals need not stop. Birds, in particular, can be viewed whilst having a meal break. Tigers are, of course, the big prize in the parks but there were other wonderful sights that people, including the guides, seemed to ignore. 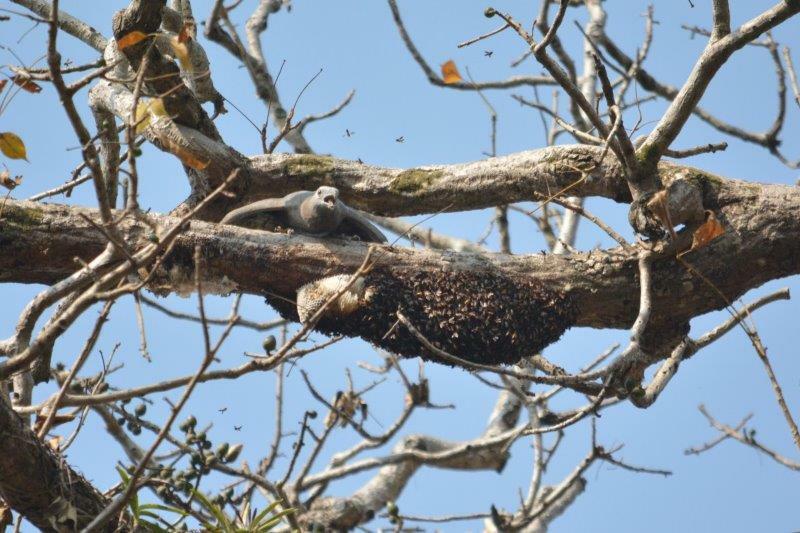 A good example occurred when we were waiting on a road, hoping a tiger might come our way, and above us was this Oriental Honey Buzzard having a really good go at a bee hive. It was fascinating to watch and it seems that the bees had no defense against this bird. It appeared to be completely untroubled by the bees so it was not clear if he was being stung at all. 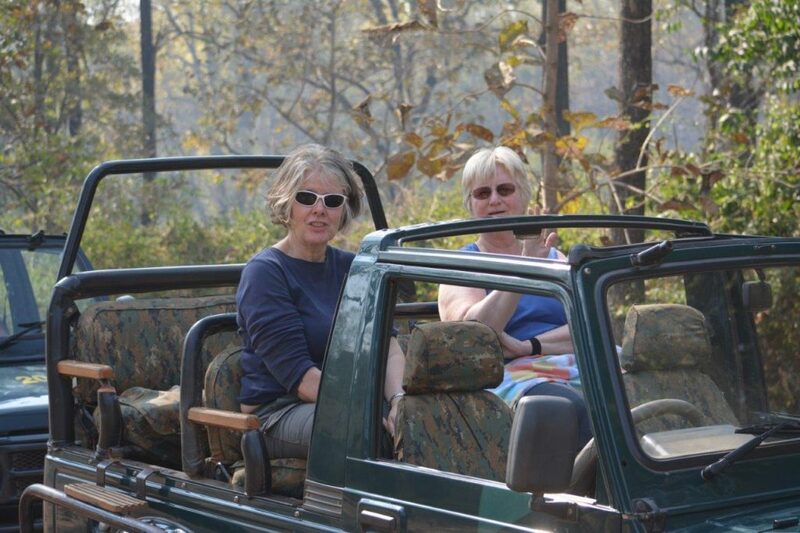 Tiger sightings in Kanha were excellent, as you would expect. 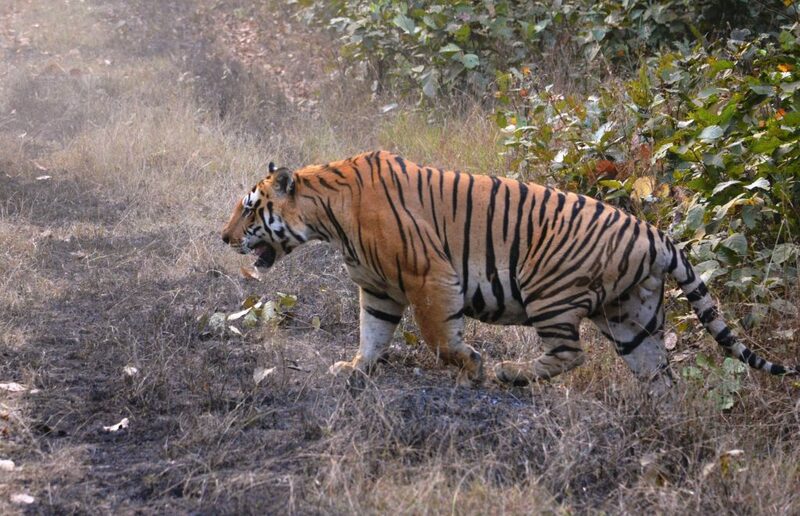 I was aware that male tigers can weigh over three hundred kilograms but up to this point of the trip I had not witnessed a really big animal. That all changed when this fellow walked down the road towards us. As you can see he is immense. It was more the thickness of his legs and the diameter of his torso that impressed me rather than his overall length or height. This was a male of seven years old in his prime and on the war path. 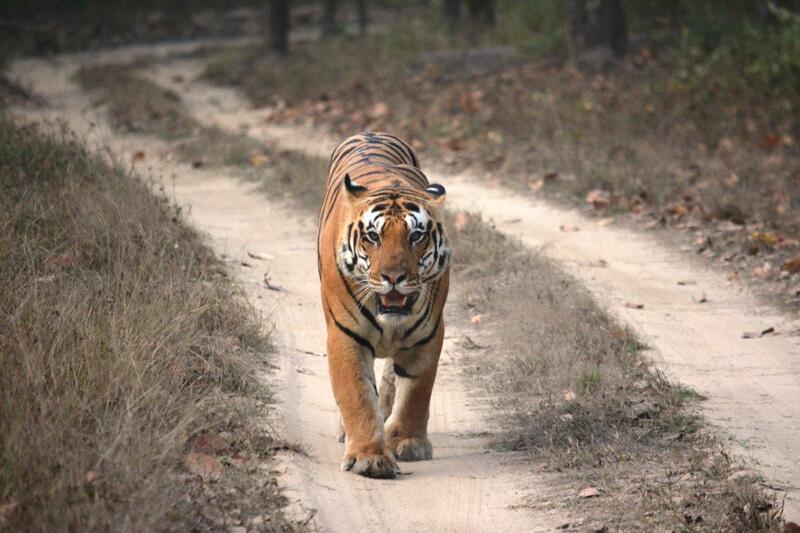 We were told that he was after a younger male who had been with a tigress. The game guide feared for the safety of the young tiger! The recommended accommodation is about two miles from the park gate and is set in its own, extensive, grounds in which organic fruit and vegetables are grown for the restaurant. It is well worth having a tour of the gardens which the hosts are proud to provide for you. There is a very good swimming pool for a cool off in the heat of the day. 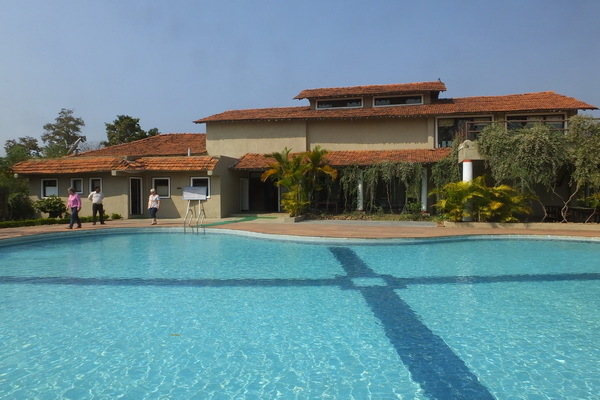 The accommodation is very comfortable with excellent food and great service. If you are interested in learning a bit more about Indian cookery the chefs are happy to give you a lesson. 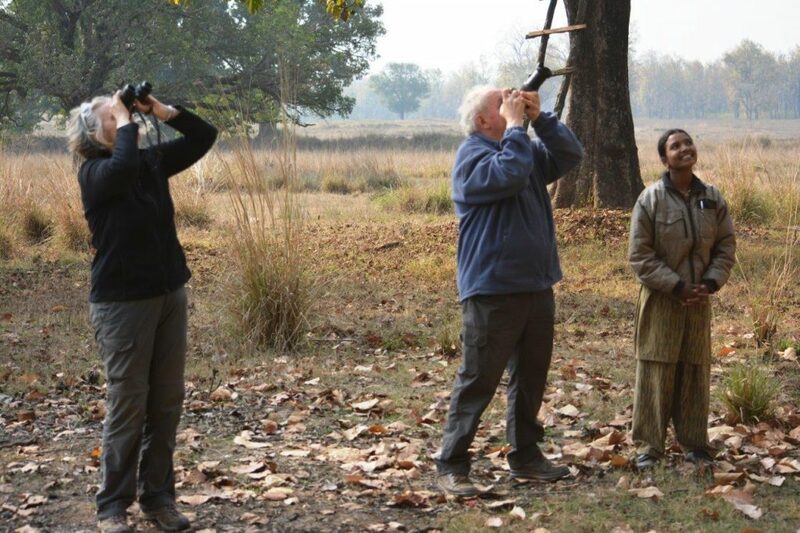 Local tours can be arranged to, for example, the local villages or to go bird watching in the buffer zone.